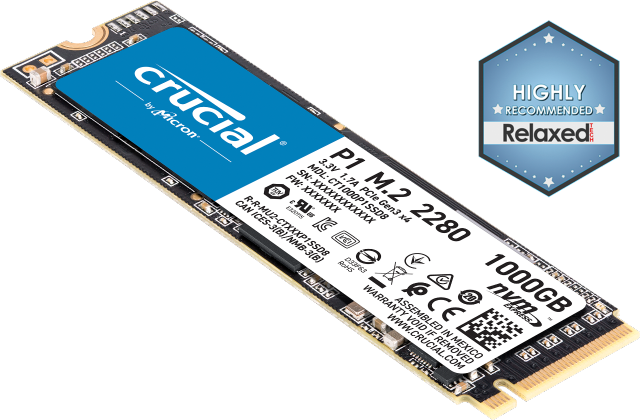 Get early access to Crucial DDR4 memory modules! Who's eligible.1 Channel partners that are developing or evaluating DDR4-capable platforms. 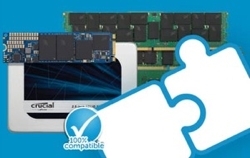 Double a system's memory capacity as module densities mature. Crucial DDR4 memory technology is up to twice as fast and delivers 50% more bandwidth and 40% more energy efficiency than DDR3 technology when it was introduced. Designed to enable the next generation of enterprise and consumer products, Crucial DDR4 memory works with next generation processors and makes everything you do on a computer or server faster and more efficient than ever before. Process data faster. Increase memory bandwidth. And reduce power consumption. Crucial DDR4 Desktop Memory fuels next-gen processors to cut load times, run demanding programs faster, and effortlessly multitask – all while consuming up to 40% less power. Extend battery life. Process data faster. And increase memory bandwidth. Crucial DDR4 SODIMMs fuel next-gen processors to cut load times and run demanding programs faster – all while consuming up to 40% less power for longer battery life. Designed to enable next generation enterprise environments, Crucial DDR4 memory makes servers faster and more efficient than ever before. Crucial DDR4 server memory is up to twice as fast, and delivers up to 50% more bandwidth and 40% more energy efficiency than DDR3 technology when it was introduced. Optimize speed, efficiency, and your IT budget with high density Crucial® DDR4 8Gb-based server memory.Process data faster. Reduce power expenses. And minimize your TCO. It all starts with optimizing speed, efficiency, and your IT budget with Crucial® DDR4 8Gb-based server memory. Maximizing channel density not only increases performance, but also makes it easy to scale up in the future. Outplay. Outmatch. Outlast. The future of performance memory is here. Open fire at 2666 MT/s. Subjugate the opposition with bandwidths starting at 21.3 GB/s. And draw on the improved responsiveness, increased frame rates, and optimized latencies of Ballistix Elite DDR4 memory for an unreal gaming experience. Engineered to deliver explosive speeds and lower latencies, Ballistix Tactical DDR4 memory allows you to strike first, faster, and more frequently than the opposition. With custom heat spreaders, certified Intel® XMP 2.0 profiles, and rugged black PCB, Ballistix Tactical DDR4 is designed for one purpose: to be your weapon of choice. Ballistix Sport LT DDR4 memory delivers faster speeds and bandwidths than standard PC memory, allowing you to achieve a higher level of performance. With easy plug-and-play installation, Intel® XMP 2.0 profiles for simple configuration, and a stealth digital camo heat spreader to control memory temperatures, Ballistix Sport delivers seamless, affordable performance. Servers are constrained by memory bandwidth, capacity, and ever-increasing power costs. With the increased performance and efficiency of Crucial DDR4 server memory, boost bandwidth by up to 50%, and reduce power consumption and the need for cooling. Enable up to twice the installed memory capacity and process data faster. Gamers are always looking for a performance edge. Crucial Ballistix DDR4 performance memory unlocks next-gen memory performance and increases responsiveness and frame rates for a better in-game experience. Achieve faster speeds and lower latencies than standard DDR4 modules, and push the limits with stylized heat spreaders. Mobile devices are limited by battery life and the amount of memory that can be installed. Designed to address these shortcomings, Crucial DDR4 memory consumes less power and packs more performance into every module, allowing you to extend battery life and run applications faster. Desktop and workstations have reached the performance limits of DDR3 memory technology, and are in need of improved speed, bandwidth, and capacity. With Crucial DDR4 memory, double a desktop's installed memory capacity, increase bandwidth by up to 50%, and run applications faster. Handle data-intensive programs with ease and achieve more. ©2017 Micron Technology, Inc. All rights reserved. Information is subject to change without notice. Crucial and the Crucial logo are trademarks of Micron Technology, Inc. All other trademarks and service marks are property of their respective owners. NOTE: This information contains forward-looking statements regarding the production of DDR4. Actual events or results may differ materially from those contained in the forward-looking statements. Please refer to the documents Micron files on a consolidated basis from time to time with the Securities and Exchange Commission, specifically Micron's most recent Form 10-K and Form 10-Q. These documents contain and identify important factors that could cause the actual results for Micron on a consolidated basis to differ materially from those contained in our forward-looking statements (see Certain Factors). Although we believe that the expectations reflected in the forward-looking statements are reasonable, we cannot guarantee future results, levels of activity, performance or achievements. Program benefits may vary and are subject to change. Customer admittance to the program is up to the sole discretion of Micron Technology, Inc. Limited lifetime warranty valid everywhere except Germany and France, where warranty is valid for ten years from date of purchase. All other trademarks used here are property of their respective owners.